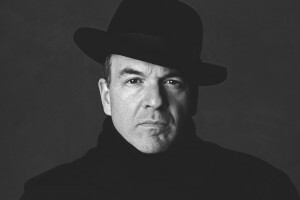 The Winner of the 5th annual Cobalt Prize Contemporary Blues Composition Award Announced! The winner of the 5th annual Cobalt Prize Contemporary Blues Composition Award were announced on Monday, February 4th at Koerner Hall during the 22nd Maple Blues Awards. The winning Cobalt Prize for composition was “It’s Happening” by Edmonton based Ann Vriend. The runners up were “Down on Vaughn Rd” by Toronto’s Son Roberts and “Chasing Dreams” by Toronto’s Samantha Martin. A cash prize of $1000 was presented to Vriend, with the second and third place winners each receiving $250. 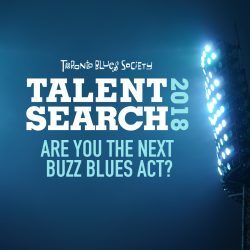 A collaboration between The Toronto Blues Society and Paul Reddick, the intention behind the COBALT Prize Contemporary Blues Composition Award is to promote blues music through exploration of its form. The winning composition is judged on its ability to creatively utilize blues traditions within the broad contemporary musical landscape. Particular attention is paid to aspects of instrumentation, melodic invention, song structure, lyrics, and production possibilities. The successful song refreshes and enriches blues as an art form. Priority is given to songs that have been crafted specifically for the Cobalt Prize, however previously released material may be submitted. 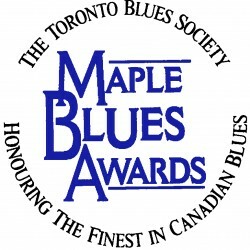 A cash prize of $1000 is presented to the winner at the annual Maple Blues Awards, being held at Koerner Hall since 2010. The second and third place winners each receive $250. The Cobalt Prize Contemporary Blues Composition Award was created and originally funded by Toronto-based Reddick, whose goal was to change the way audiences perceive and appreciate blues music. The Cobalt Prize receives hundreds of submissions from artists coast-to-coast, proving that deviating from standard blues riffs and clichés is a welcomed addition to the growing Canadian blues music scene. Previous winners of the Cobalt Prize Contemporary Blues Composition Award are Digging Roots, Conor Gains, Ann Vriend, and Joe Nolan. “Blues music is a treasure trove of classic songs that maintain their relevance over time despite, or perhaps because of, their endless reproduction. There is something synchronous about the respect for tradition in blues and the loyalty of its audiences; this overarching sense of familiarity is one of the strengths of the form. I prefer to think of blues as an expansive colour palette, however, which can be used to create ever new musical landscapes. We have seen this happen many times before; in the virtuosity of Robert Johnson, in Willie Dixon’s immeasurable contribution to post-war song-writing and music production, and in the evolution of blues into other genres, most notably Rock n’ Roll. Blues has been an inspiration for so many artists that any sample is bound to disappoint. First in my mind are Chuck Berry, Bo Diddley, Keith Richards, Jimi Hendrix, Stevie Ray Vaughan, and recently The Black Keys, who managed to transform hill country blues into bluesy pop music stardom, but I could go on… The significant question here and now is: what’s next? Adherence to tradition can be both a strength and a weakness, especially given music industry’s the ever-changing tides. Blues audiences, while loyal, often arrive at the blues scene through bands like the Rolling Stones and are of a similar (if ever-cool) vintage. Blues seems a harder sell among younger generations, especially in its live forms, which should give pause to the entire blues community. Preservation of blues traditions must be accompanied by the promotion of its creative potential within contemporary culture. 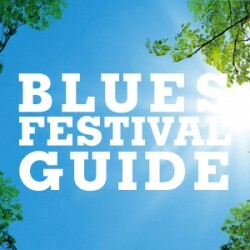 Blues needs new blood, and not only among its audiences, but also in its repertoire. New blues compositions must be written for the tradition to not only exist, but evolve. I have always felt that the blues as an art form is wide open, full of creative possibilities that allow it to transform and thrive without losing its essential character. What constitutes this character—which characteristics are thought as defining of blues—will inevitably vary somewhat across time, groups and individuals. Dictionary definitions offer a mere starting point to understanding the blues that books and various commentaries on the subject can deepen considerably, but the most complete picture of the genre emerges from the vast body of recordings available to us. The most important feature of this musical picture as I see it is its vitality—its raw expression of the living pulse of life—and such vitality can be sustained only through the act of creation. It is my opinion that it is more important for a blues artist to learn how to draw inspiration from blues classics than it is to learn how to play them; for all the value of reinterpretation, it is invention that propels art and artists forward.